SYDNEY, July 16, 2010 (AFP) - Australia's new Prime Minister Julia Gillard is poised to call a general election for late August, media said Friday, as she moves to legitimise her rule after being catapulted to power in a party coup. Gillard, who became the country's first woman leader after ousting her predecessor Kevin Rudd just three weeks ago, was expected Saturday to ask the country's governor general to set an August 28 poll date, the ABC said. "Labor sources have told the ABC Ms Gillard is expected to visit Governor General Quentin Bryce in Canberra tomorrow morning to set an August 28 election date," the public broadcaster said, quoting ruling Labor Party sources. Rival Sky News quoted sources as saying the poll could be called for either August 28 or a week earlier on August 21. Both the ABC and Sky News however said the centre-left prime minister would return to Canberra on Saturday to ask Bryce to dissolve parliament and issue writs calling for an election. 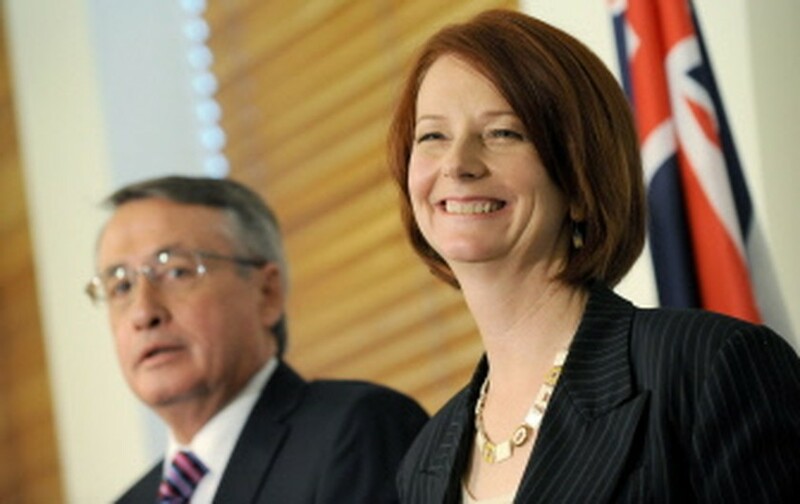 Gillard was tight-lipped about the timing of the looming poll. "I’m not engaging in election speculation," she told reporters in the island state of Tasmania. "But whenever the election is called it will be a very clear choice about whether Australia moves forward or back." 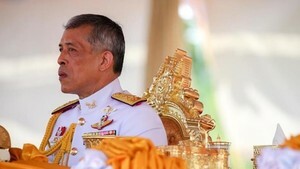 As a constitutional monarchy, Australia's electoral system requires the prime minister to ask the governor general -- Queen Elizabeth II's official representative -- to call an election at least 33 days before the polling date. The election for members of the lower House of Representatives and half of the Senate will see Gillard pitted against conservative Liberal Party opposition leader Tony Abbott for the nation's leadership. Analysts have speculated for weeks that Gillard would call a late August vote in order to cash in on an opinion poll "bounce" her party has enjoyed since ejecting Rudd, whose popularity had plummeted over policy missteps. A Nielsen and Galaxy opinion poll last week gave Labor a narrow but election-winning 52-48 percent lead over the opposition Liberal-National coalition, up from 33 percent in early June. But the flame-haired prime minister has already hit political turbulence as she battles to win support for her policies on the core issues of asylum seekers, the economy and climate change. Gillard promised polls this year after taking over from Rudd, who was ruthlessly toppled by party colleagues less than three years into his first term, following the spectacular collapse of his public popularity. Since being sworn in she has been frantically trying to clear the decks of thorny policy issues that could cost her government re-election, including a disputed mining tax and how to stem an influx of boatpeople that has angered the public. Gillard, who was Rudd's deputy, has also been anxious to defuse concerns over her loyalty and the legitimacy of her rise to power after Rudd's ignominious dismissal. After being elected as the new Labor leader, she said she would not move into the official prime ministerial residence until she had been elected by the people in her own right. The straight-talking former industrial lawyer has been scrambling to tackle the core issues that led to Rudd's implosion: the controversial 40 percent mining tax, refugee arrivals and plans to fight climate change. But while she quickly struck a deal with major miners on a new and less onerous tax, her bid to tackle the asylum seeker issue backfired amid confusion over where a mooted regional processing centre would be based. The prime minister is also expected to unveil her plans for fighting global warming, after Rudd's government fatefully shelved plans to introduce a carbon emissions trading scheme in the face of staunch opposition from Abbott. Welsh-born Gillard, 48, is a self-confessed atheist and is seen as a liberal on social issues, a political pragmatist and consensual leader; devout Catholic Abbott is a social and political conservative known for his gaffes and colourful language. The election is expected to be played out in marginal seats in the populous eastern states of Queensland, New South Wales and Victoria.